I had a chance to shoot about 200 rounds this weekend through the Arsenal. For sure the trigger needed to go. If you have a background in rifles you will want to do a trigger replacement ASAP. The arsenal has a good, safe, trigger with 8-12 pounds of pull but that’s just too much for my tastes. 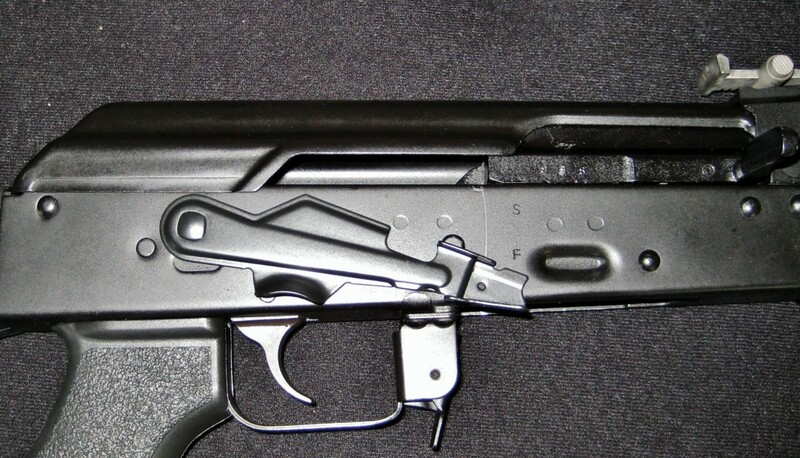 In my opinion the trigger on the SGL31 is garbage for target shooting and for quick semiautomatic bursts. I knew this after the first time I took it to the range so I immediately ordered a G2. While I was in there I wanted to change out the shepherds hook. 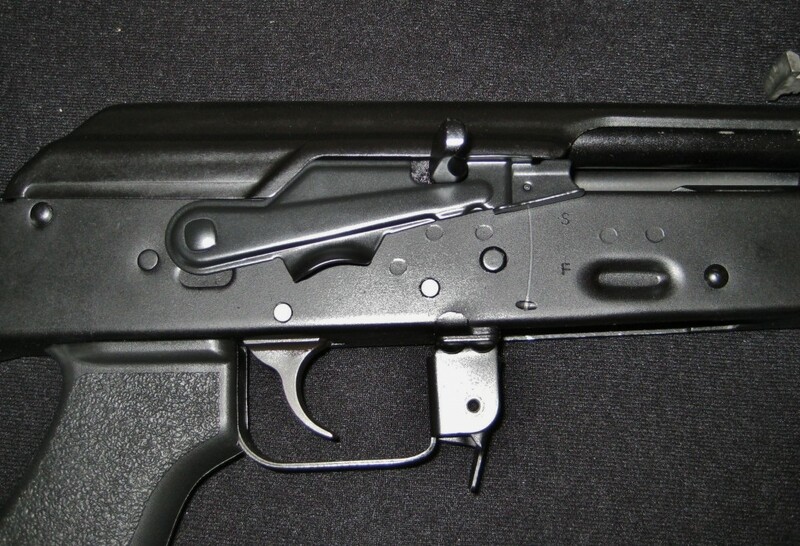 One nice thing about the M10 is it has all these parts already installed including a Tapco trigger pin retainer plate. I’m thrilled with the Arsenal but these little things will start to add up. The G2 + the Krebs trigger pin retainer plate will run you with shipping around $40-$50. If you can get an M10 that works and you don’t mind the finish, love it and leave it! The Tapco G2 came in this weekend along with a Krebs enhanced safety and trigger pin retainer plate to replace the shepherds hook. It was nice that they all came in the mail on the same day as it was a split order from Primary Arms which got me the G2 in 2 days from TX and Krebs customs. Swap out of all the parts is simple. Biggest issues is getting out the shepherds hook which I think has more to do with having the right pliers that can get into small spaces than anything else. 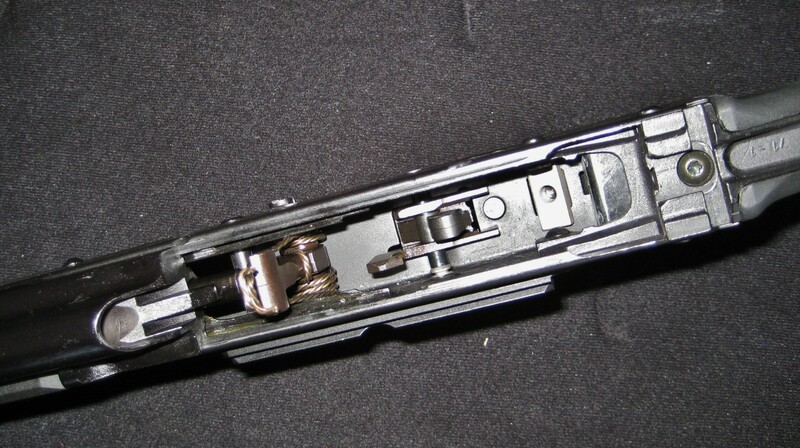 There is a good write up over at ar15.com – AK Semi-auto Fire Control Group Disassembly and Assembly. Once that’s done everything else is just drop in. 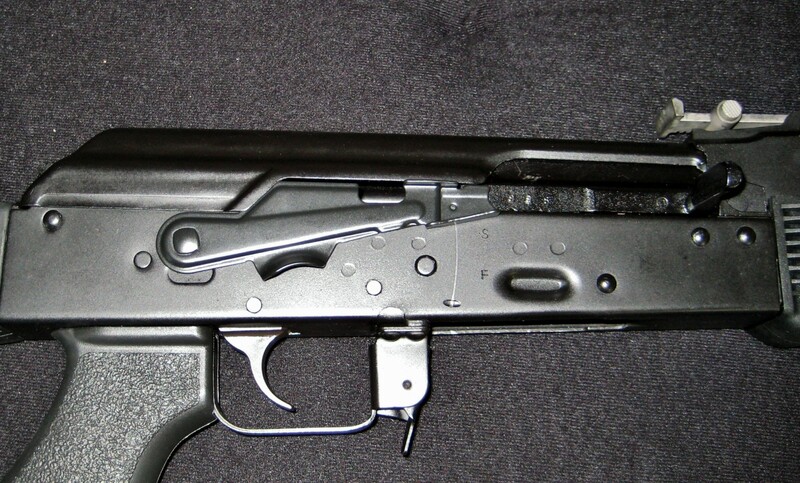 The BBQ paint that Arsenal uses is not the best, you can see how quickly the internal are getting scratched up. The outside of the SGL is also getting some dings, nothing major but the finish is no where near as strong as say an AR15 or Remington 870. Its more like the new 10/22 finishes, just strong black paint. Its definitely in the plans to get it re-coated at some point with an enamel or Guncoat so I’m not too worried about it. If your in the market and this was not on your list to re-do, take note. The G2 is very light. Almost too light, but I don’t think it will bug me. Its a tad bit lighter than I remember the M10 being but I’m sure its just QC and difference in tolerances between batches. I have not had a chance to shoot with the G2 so I will add an update once I put some rounds downrange. The new Krebs enhanced safety is awesome and I think its a must for any AK. The safety is a two second swap and allows for the manipulation of the safety with your index finger while maintaining the shooting hand on the pistol grip as well as providing a notch for locking the bolt carrier in the open position. My only issues is the safety that comes with the Arsenal SGL31 is really nice and very strong. It was a little two tight and it was a pain to try to bend it out a little. 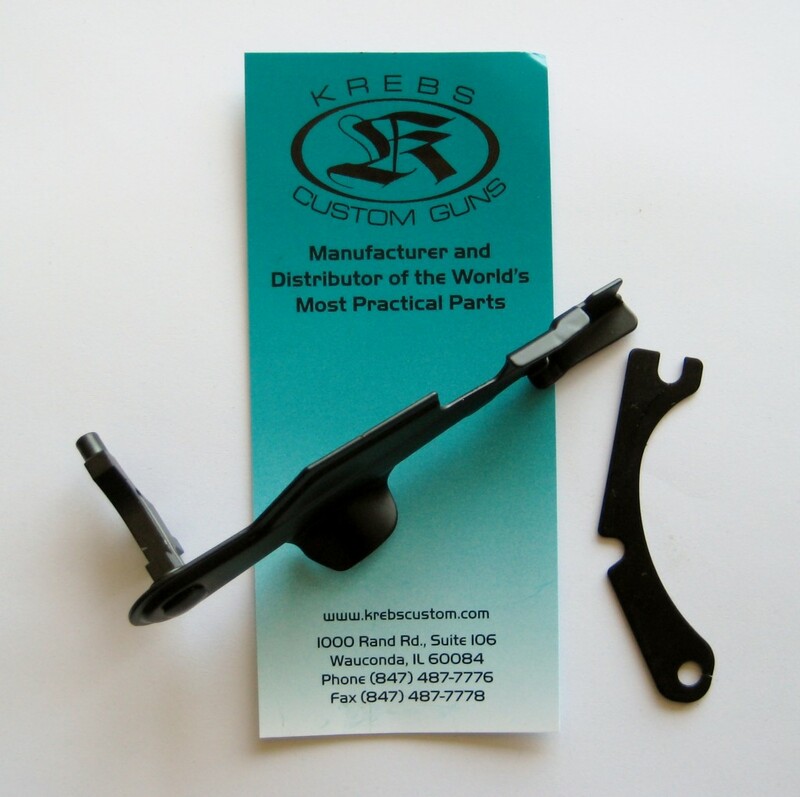 The Krebs is not as strong and can easily be bent for adjustment. This could be good or bad depending on your view. We will again do a follow up if we see any issues over time. I love the fact that the Krebs safety has the bolt hold open option. 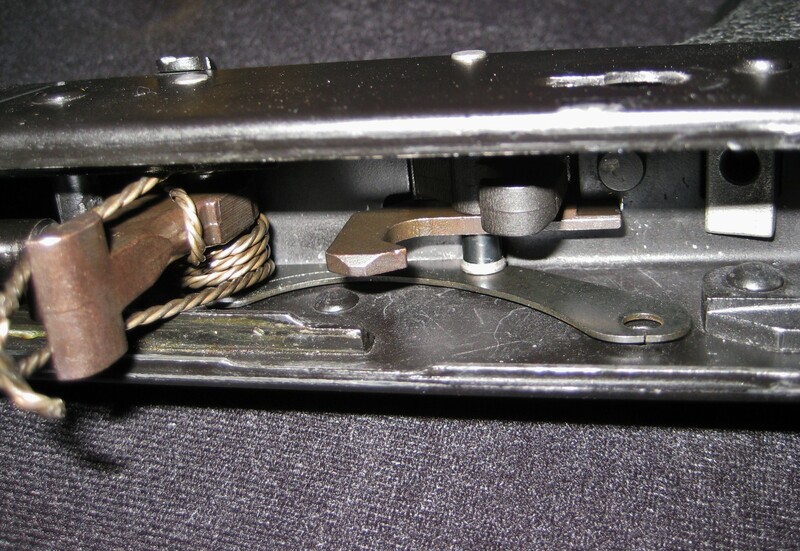 My outdoor range requires the bolt be open during cease fires, so this will be very helpful. Up till now I just bee shoving a red Sharpie marker in there. The safety is very easy to use with you index finger from ready position. It is also easy to but it back on. Great add on and I highly recommend it. All in all the swap of the trigger, trigger pin retainer plate, and safety only took about 10-15 minutes while watching TV. It was very simple to do and I would think even the more mechanically challenged would be able to pull it off. One of the future additions that we are going to add to the site is an AK section with links to how-to and general AK resources. As I have mentioned before there is not really a good one stop shop to get all the facts on the AK-47 & 74 variants. I don’t think this section will end up being that but at least we can organize all the sites and links we have come across in this journey.